This free open online course provides knowledge about extending SAP S/4HANA Cloud and SAP S/4HANA. Topics include an overview of the SAP S/4HANA UX, simple extensions, advanced extensions, and embedded analytics. SAP S/4HANA Cloud and SAP S/4HANA deliver the SAP Fiori user experience (UX) at scale. SAP S/4HANA Cloud and SAP S/4HANA change how you work, by combining insights via real-time embedded analytics with transactional actions. They also share a code line that enables you to adapt your solution to meet your business needs in a fast and flexible way. The SAP Fiori UX is the face of SAP S/4HANA Cloud and SAP S/4HANA business innovations to your business users. When planning your transition to SAP S/4HANA Cloud or SAP S/4HANA, you need to know how to make the most of this new UX. You’ll also need to know how you can adapt the SAP Fiori UX to your specific needs, whether you’re a business user, a business process expert, or a developer. In this openSAP course you will get deep insights on how SAP S/4HANA Cloud and SAP S/4HANA can be extended to realize their full potential. You will also learn how to accelerate the extensibility capabilities for your business in a cloud-like lifecycle. In Week 1 we will focus on fundamentals of UX in SAP S/4HANA, including a quick overview of SAP Fiori launchpad features and content, UX roles you will need in your project, Discover/Design/Deliver lifecycle and mindsets to successfully guide UX extensions on your project, and an overview of the main SAP S/4HANA UX extensibility types. In Week 2 we’ll introduce simple “no developer required” ways to adapt the SAP Fiori launchpad, SAP Fiori apps, and classic user interfaces. We’ll focus particularly on using in-app extensibility. Think of these as SAP Fiori apps that let you adapt other SAP Fiori apps. We will continue with advanced extensions in Week 3, in which you will learn how to rapidly create your own SAP Fiori apps using SAP Fiori elements and how to use the side-by-side extensibility and classic extensibility approaches. In Week 4 you will gain an appreciation for the main embedded analytics types, including Smart Business KPIs, interactive drilldowns using Analysis Path Framework, the Query Designer, and the View Browser. If your primary interest in taking this course is getting an overview of the SAP Fiori user experience in SAP S/4HANA Cloud or SAP S/4HANA and understanding how they can be extended, you do not need access to a development system. However, we realize that many of you will be interested in trying out some of the extensions presented based on the instructions in the course exercises. For this, you can use an SAP S/4HANA 1610 trial system as documented in this blog. The software, systems, and tools are provided free of charge; however, you’ll need to pay cloud storage costs to hold your trial. If you want to try out SAP S/4HANA Cloud, you can also access a 14-day trial version. Lars Rueter drives co-innovation with customers and partners for SAP S/4HANA and leads the Regional Implementation Group for SAP S/4HANA in Asia/Pacific and Japan. Before, he was a senior member of the SAP Business Suite Product Management organisation. In his role, Lars Rueter closely cooperates with customers and partners to assess market requirements and interweave them with SAP’s Cloud Suite Strategy and Portfolio. Lars Rueter’s profound experience in working with clients in different roles as Solution Architect, Business Developer and IT Strategist help him to analyse and transfer market and client issues directly into the solution development process with the goal to help clients achieve competitive advantages based on requirement-driven next-generation software and services. He is a frequent speaker at conferences and other industry events on SAP S/4HANA, Digital Transformation and Business Transformation strategy. His key expertise areas are co-innovation, IT strategy of enterprise processes, SaaS, social and hybrid concepts. 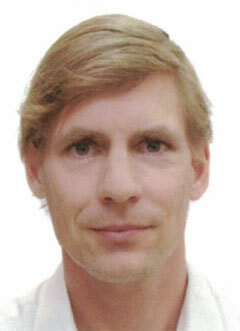 Lars Rueter holds a Masters Degree in Information Technology and Business (Dipl.-Wirt.-Inf.). 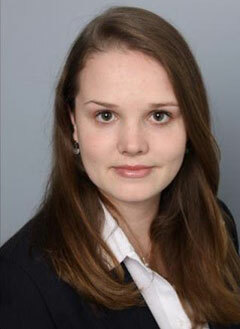 Katharina Stopf is a product manager for SAP S/4HANA, focusing on co-innovation and core product assets. In this role, she contributes to the evolution of the core asset portfolio as well as global stakeholder enablement. Katharina also drives co-innovation for SAP S/4HANA, to strengthen the product and ensure that the voice of customers and partners influences development. This course was rated with 4.4 stars in average from 650 votes. Rohit Khan is a Senior Consultant with SAP SDC India as part of the SAP S/4HANA Regional Implementation Group. Rohit has over 14 years of experience in various capacities, including consulting, management and training. Pierre Cassano is a Principal Analytics and Solution Architect as part of the SAP S/4HANA Regional Implementation Group (RIG) in APJ and ANZ Delivery, based out of Melbourne, Australia. Pierre has been with SAP for more than 23 years, spanning training, consulting and management roles throughout this time. With a strong software development background and specializing within the analytics space with the introduction of BW in the late 90’s, Pierre has seen many of SAP’s analytics innovations that some of us take for granted. His current focus is SAP HANA Analytics, including developing customer-specific architecture and strategy solutions to the APJ region. Thomas Csapo is a Principal Technology and Solution Architect as part of the S/4HANA Regional Implementation Group (RIG) in APJ, based out of Singapore. He has been with SAP for more than 15 years and is coordinating the technical global S/4HANA RIG team. Recently, he has supported numerous successful S/4HANA customer projects in the APJ region and is also coordinating S/4HANA enablement activities for partners and SAP internal teams. Thomas Fleckenstein is Chief Product Owner for embedded analytics in SAP S/4HANA, cloud and on-premise. He joined SAP in 1999 and has been working in various positions of SAP development. Thomas is a frequent speaker at SAP TechEd and other events.